Fans lining up for the screening and to get a glimpse of the stars of the film. 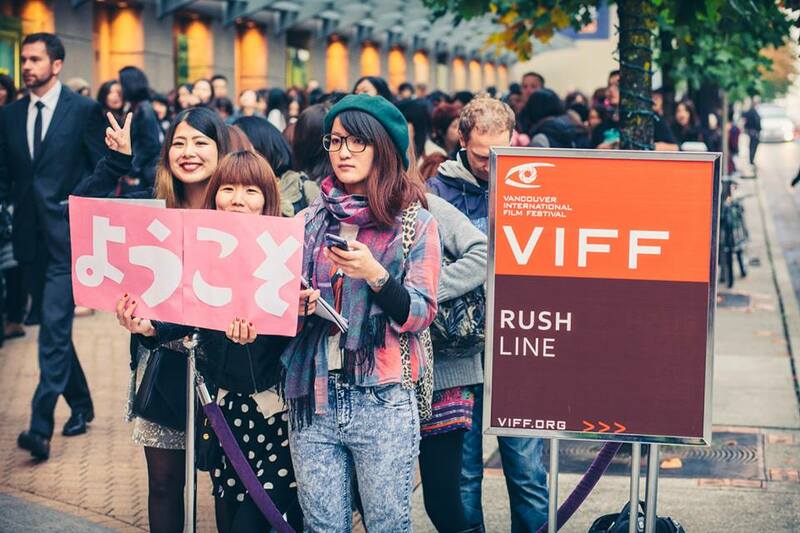 On September 29th at The Centre For The Performing Arts in Vancouver, the Vancouver International Film Festival (VIFF) held the World Premiere of The Vancouver Asahi. The film is directed by Ishii Yuya and it tells the story of the Vancouver Japanese-Canadian baseball team during the early 1900s. Both stars of the film, Kazuya Kamenashi (left) and Satoshi Tsumabuki (right),were in attendance. The film stars Japanese mega idols Kazuya Kamenashi and Satoshi Tsumabuki, both of whom were in attendance at the premiere, gracing their avid fans with their presence. Flocks of fans stormed the red carpet, greeting the guests with cheers and banners. 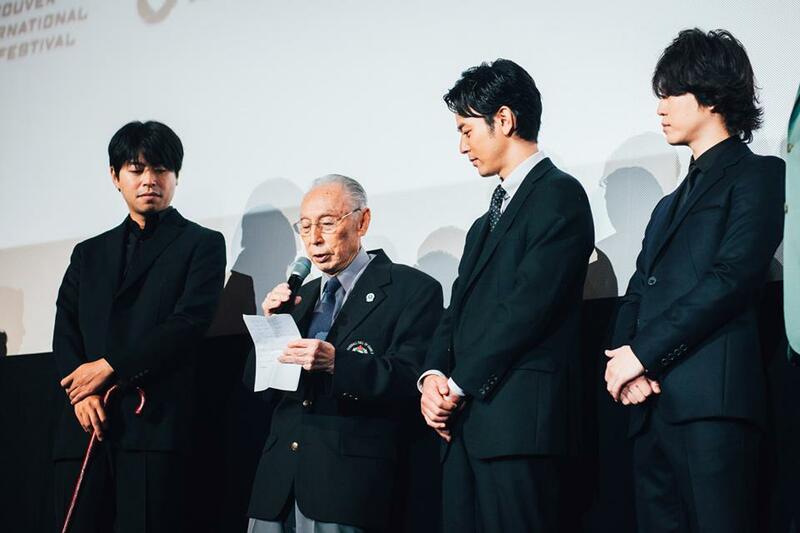 VIFF also had the honorable pleasure of having the last surviving player of the Asahi team, Kaye Kamanishi, to attend and speak before the audience at the screening. Kamanishi expressed his gratitude and happiness for the film being made and for the story of the Asahi to be told to generations to come. The last surviving member of the Asahi baseball tearm, Kaye Kamanishi speaking to the audience before the screening. Also pictured (from left to right): director Ishii Yuya and actors Satoshi Tsumabuki and Kazuya Kamenashi. The October 9th screening of the film still has tickets available, get yours today! Tags: canadian images, dragons and tigers, viff, viffest. Bookmark the permalink.